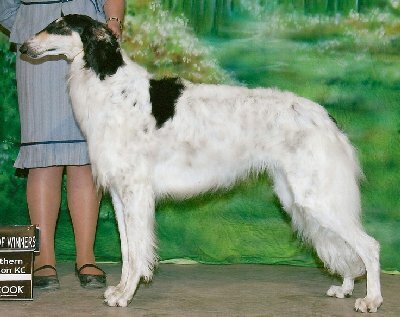 On the way to her Championship, Mrs. Peel accumulated four majors including a Best of Breed over specials and Best of Winners at the 2009 Borzoi club of Delaware Valley Specialty Show. 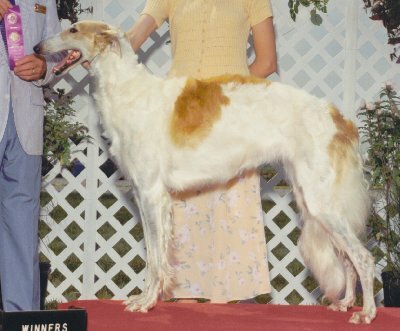 In racing, with competition from Colorado, Michigan, Massachusetts, Ohio, Delaware, Maryland, South Carolina, Georgia and New Jersey, the local girl, Mrs Peel, proved to be the fastest and is the 2009 LGRA National Borzoi Best of Breed Winner. Her experience coursing includes the now famous “ground hog flip” in mid-course. Mrs Peel whelped her only litter January 24, 2012. Although Steed weighs in at 110 pounds, he is elegant and light on his feet. With his gentle demeanor, he’s the dog that plays with the puppies, he’s eager to please and a natural in rally. He is the sire of 14 champions. 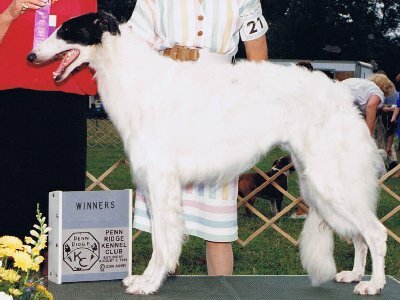 Casper is the top Specialty winning Borzoi in the history of the breed with 38 Specialty wins to his credit. 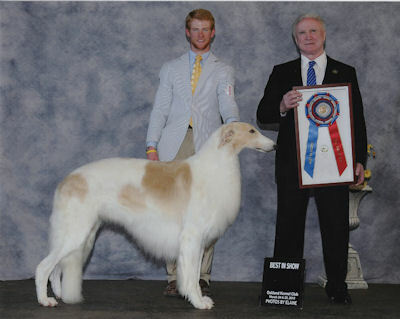 He won Best of Breed at the Borzoi Club of America 2012 Specialty show. 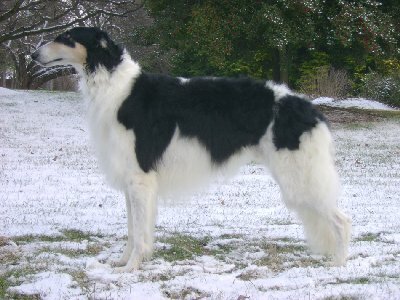 He won Best of Breed at the Westminster Kennel Club show in 2011. He won Best of Breed at the Eukanuba AKC Championship Show 3 times ! Casper has 3 All Breed Best In Show wins and 6 Best In Hound Show wins. He has nearly 70 group placements. 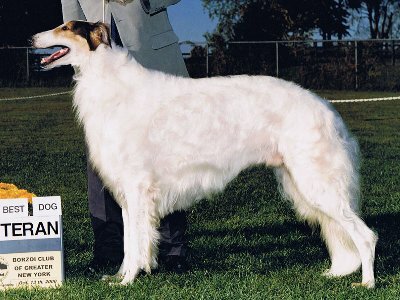 Casper was the #1 Borzoi in the country for 4 years (breed system) and in the top 5 for 7 years (breed system). 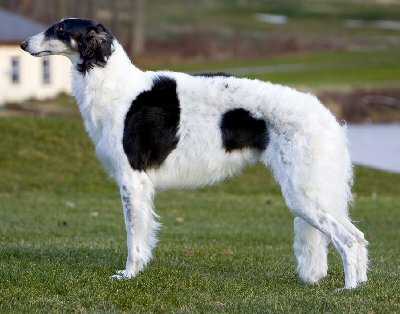 In 2011 Casper was the #1 Borzoi in the country (all-breed) system and in the top 5 for 7 years (all-breed system). A Specialty Sweepstakes and Award of Merit Winner. Bette ranked in the ASFA Top Ten for 4 years. Bette whelped two litters. Brie was the foundation dam for her owner's kennel. Boo was ranked #7 in 1997 in ASFA. This page updated November 23, 2018 © 2018 Ariel Duncan. All Rights Reserved.